The site of Kalipinypa is located approximately 400 km west of Alice Springs, and to the north-east of Kintore. Johnny Tjupurrula had authority over this area and it was painted by this master extensively. It is considered a storm centre, and Water or Rain Dreaming site. 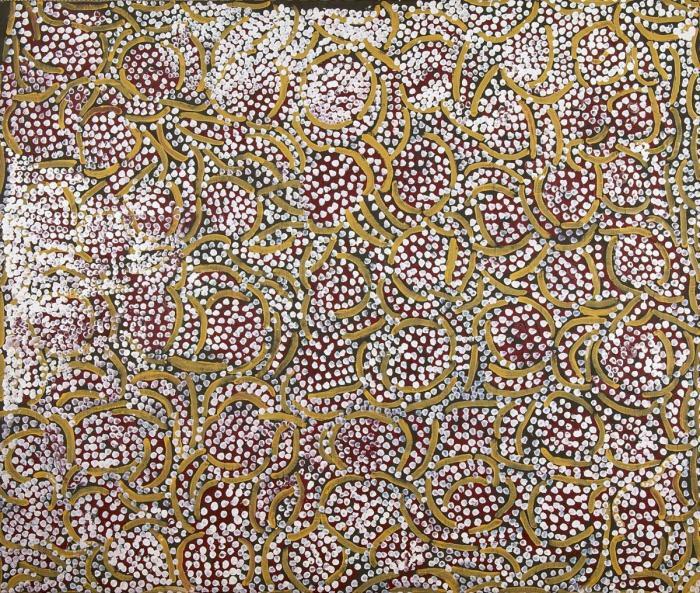 The painting is a typical representation of the artist's later work, the U shapes show the location of soaks and waterholes, the footprints of birds and animals and the dots reveal hail, rain and bushfood. 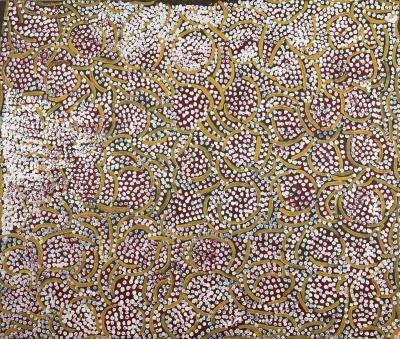 Johnny Warangkula was born in Mintjilpirri, south of Lake Mackay around 1918. 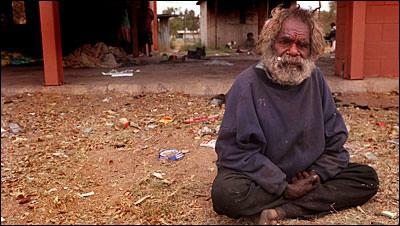 He was one of the Pintupi people and he spoke the Western Desert language. Johnny first encountered white civilization in 1930 when he hid in a tree upon seeing a plane, which he understood to be a devil. In 1932 he met an Adelaide University expedition at Mt. Liebig and afterwards, his family moved to Hermann . . .